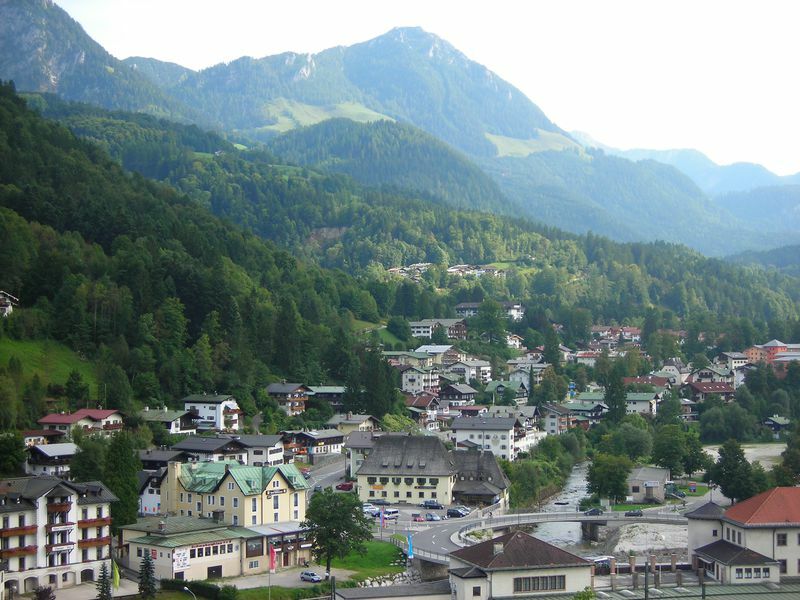 This historical vantage point lies 1834 m high above Berchtesgaden. Hitler received this complex for his 50th birthday from Martin Bormann, but visited it only rarely. 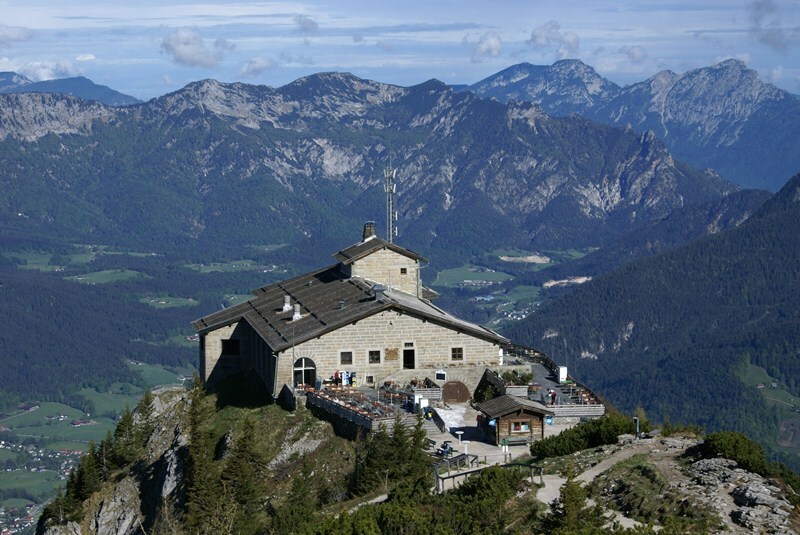 Spared from bombing in the second World War, the Eagle's Nest is currently preserved as a historical monument in its original form. 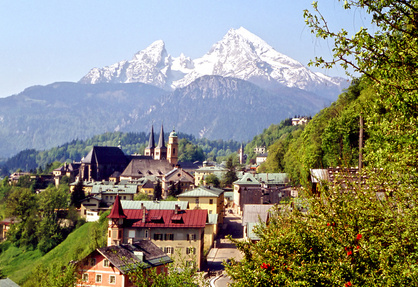 The bus takes you over the breathtaking Kehlsteinstraße, which is structurally unique and one of a kind worldwide, directly to the Eagle's Nest parking area. This ride alone is a spectacular experience. The adventure continues as you take a magnificent brass elevator 124 meters through the rock cliffs. In just 41 seconds you'll be conveyed to the interior of the Eagle's Nest. 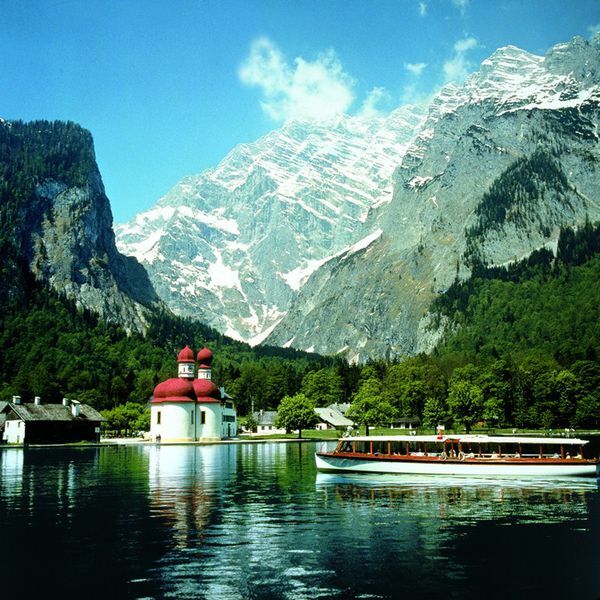 The Koenigssee is an elongated mountain lake in the Berchtesgaden area. 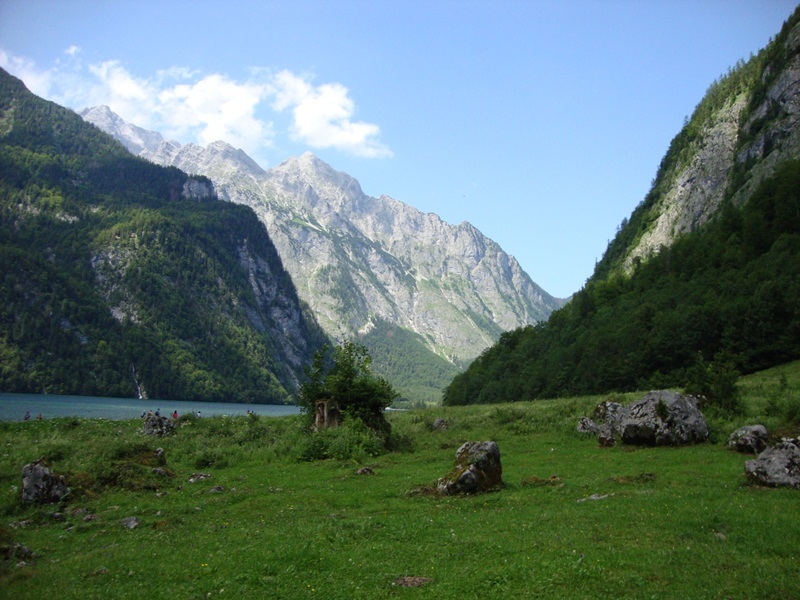 It lies at the foot of Watzmanns and is mainly fed from the southeast by the Upper Lake "Saletbach". 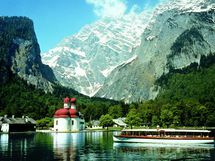 Since the Koenigssee is nestled between steep mountain slopes, it is described as a fjord-like and has outstanding water quality deeming it one of the cleanest lakes in Germany. 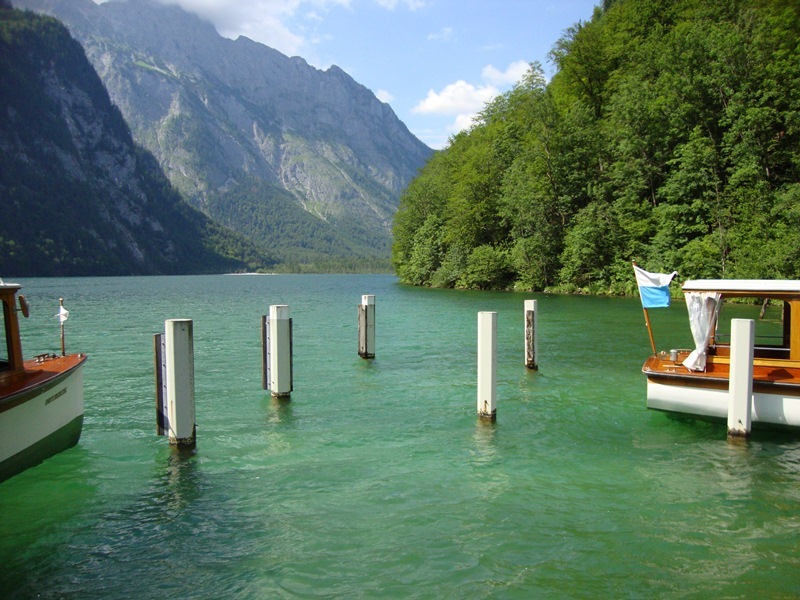 The deepest lake in Bavaria puts everyone under its spell with its pristine natural beauty. 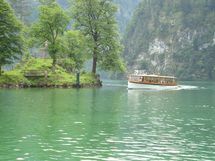 The majority of the lake lies in the Berchtesgaden National Park. The emblem of Königsee, St. Bathalomä, can only be reached by ship. The world-famous pilgrimage church of the 12th century is picturesquely situated on a peninsula. Go along the "echo wall" and enjoy this unique setting. 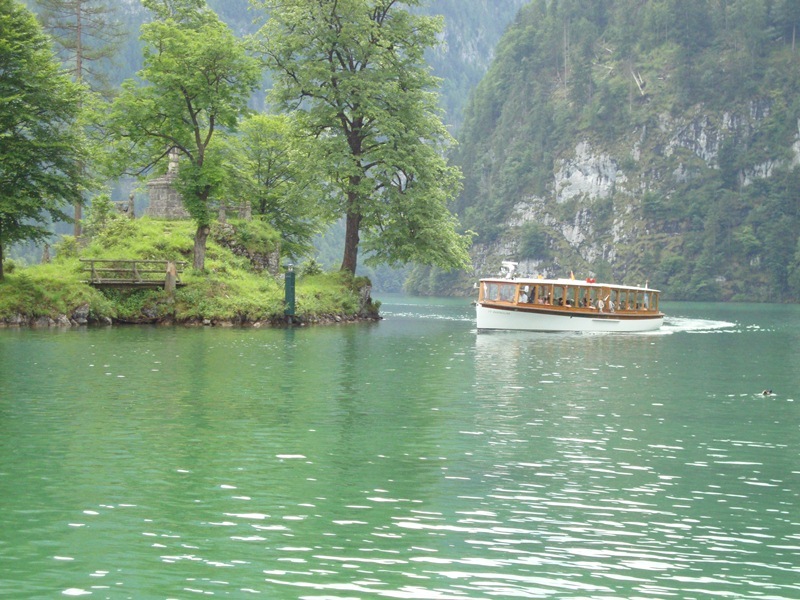 Or set your own pace and explore the lake by rowboat. The crystal clear water allows you unrestricted view of the many fish that frolic in its depth.